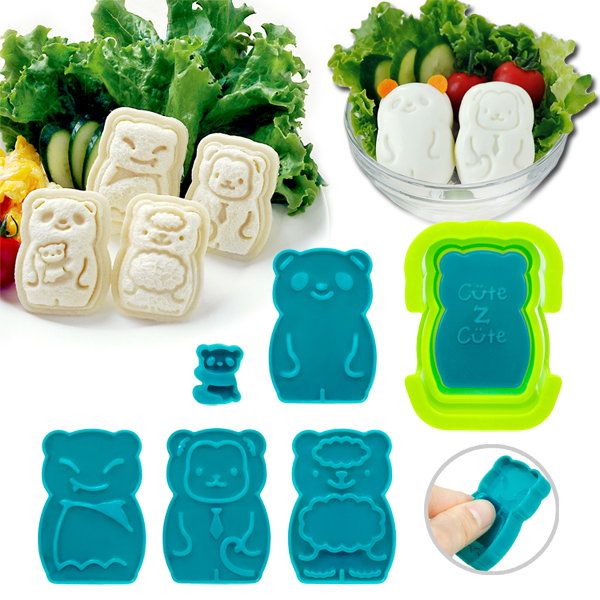 From the creators of the CuteZCute Animal Friends Food Deco Cutter and Stamp Kit comes another versatile and adorable bento tool set – the Animal Palz Mini Sandwich and Egg Press. 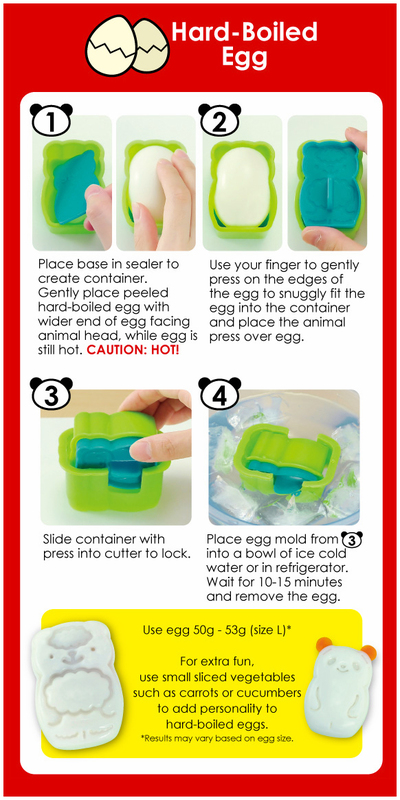 Make mini sandwiches, mold eggs, and so much more! 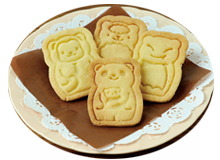 Panda, Panda with Baby Panda, Monkey, Sheep, and Bat shapes. 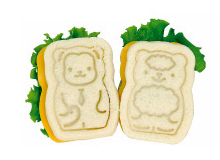 The presses can be used on traditional (non-seal) sandwiches, as normal bread stamp. 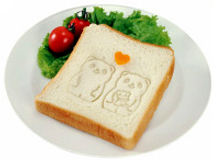 Give life to a sliced of bread, ready in seconds. Press longer for cleared imprint. 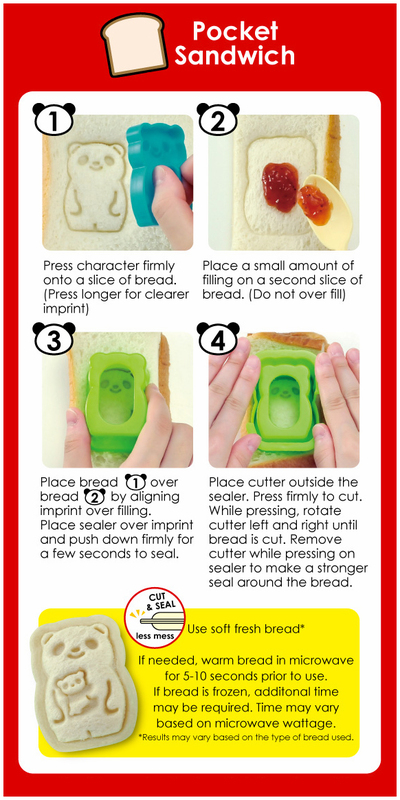 After you’ve made your adorable lunch, the sealer and base can fit together to become a divider cup in your lunchbox! 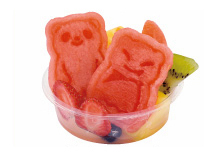 Imprint fun Animal Palz characters into fruit that works great for parties and packed lunches. 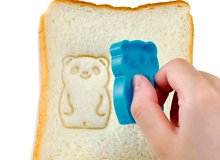 ♥ Use to cut almost any food, including bread, sliced meats and cheeses, pancakes, thinly sliced fruit, cookie and pie dough, fondant or gum paste, and so much more! ♥ Combine with other parts of this kit, can be used to seal pocket sandwiches or mini pies; and mold hard boiled eggs, rice, hamburger, and more! 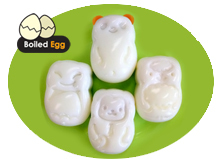 ♥ Combine with other parts of this kit, can be used to mold hard-boiled eggs, or used as food cup. 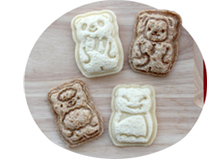 ♥ (sheep, monkey, bat, and panda,) plus a bonus baby panda press! – You can use these to imprint on anything pliable enough, like pie or cookie dough, melon, eggs, and soft fresh bread (does not work well on drier or crumbly breads.) 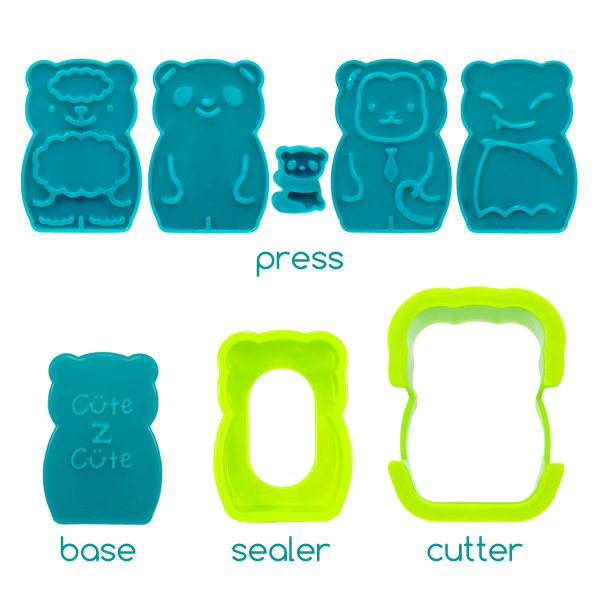 Or imprint onto rolled fondant or gum paste for cute cake or cupcake decorations! With a little food coloring and ingenuity, you can even use the press tools as food stampers! This product is made with FDA approved food-grade material, and is also BPA-free. When used as a food cup, these are also freezer-safe. But most importantly, they’re top-rack dishwasher-safe! Most bento tools are very specialized – good for one technique only. 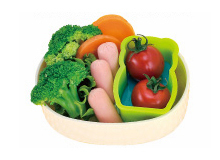 But with this versatile set, you can always find a creative and easy way to include it as part of your fun meal! Like other sandwich press, best use with soft fresh bread. If needed, warm bread in microwave for 5-10 seconds prior to use. If bread is frozen, additional time may be required. Time may vary based on microwave wattage. Results may vary based on the type of bread used. Use small sliced vegetables such as carrots or cucumbers to add personality to hard-boiled eggs.